Playtech Instant Scratch Card Games. Play for Fun or Real Money. Playtech is one of the most top rated gaming software developer that provides marvellous games to online casinos. 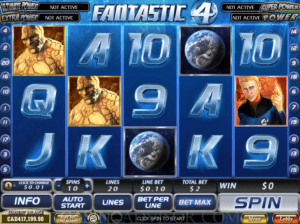 Mostly known for its marvel and comic style casino games this software provider has been into gaming market since 1999 and has some great feathers in its cap. It is the provider of largest worldwide bingo network, live casino, poker network, sports betting platform and many more. Currently it offers more than 600 casino games and do not be surprised to know that 50 new games are added each year to their gaming library. Through licensing agreements with well-known movie and entertainment brands including Marvel, MGM, NBC Universal and HBO, Playtech brings you branded games whose mass-market appeal will broaden your reach to new audiences. Playtech Scratch Card Games are mostly based on the already popular Playtech online video pokies games. This is a great way of introducing new games for players to enjoy. 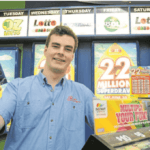 Scratch cards are an attempt to continue the legacy of their video pokies relatives introducing new way of experiencing popular Marvel and other themes. The animations in Playtech Scratch Card Games are one of the things that make them so much better than scratch cards from other software developers. Playtech’s ingenuity makes them even more valuable. 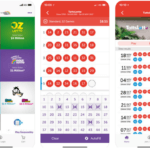 Most of the Playtech scratch cards are based on a popular pokies previously released and then each time the scratch card game is released at a later date. There are about twenty scratch games from Playech. They can be branded, progressive or regular. The branded lot is comprised of classic titles from the pokies category, such as Daredevil, Ghost Rider, Avengers, Spamalot, Iron Man 3, Wolverine, Top Trumps Football Legends, Top Trumps Celebs, Captain America and The Six Million Dollars Man. The other are mostly generic themes, from classic pokies themes, to the beautiful Egypt, and two scratch card games based on table games, the Blackjack Scratch and the Roulette Scratch. Among all the scratch games there is only one progressive game, the Winners Club Scratch with a jackpot currently standing at over 287,000 dollars. How to play Playtech’s Scratch Cards? 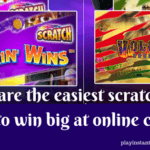 It is very easy to play Playtech’s online scratchies. 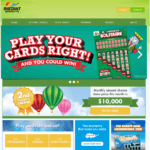 All you need is to find a Playtech powered online casino or site to buy scratch cards. Then like any other casino you need to register yourself at the site and open your real money casino account by making a minimum deposit of NZD/AUD $10 or more. 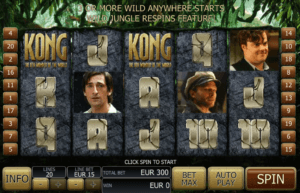 Now get the welcome bonus or any exclusive bonus that the online casino may offer you. Next go to games lobby > go to scratch cards > choose the one you wish to play > and tap or click to play with your mobile or PC. Playtech’s scratch cards have various game plays, mostly the same principle, where you have to have a match of two or three to receive cash. For example, the Spamalot scratch game, based on the Monty Python’s Spamalot pokies game the theme is explored further and contains symbols that might not have been used in the pokies. The goal is to match the purchased card with one of the six cards displayed on the right. With a minimum bet of 0.25 NZD or AUD you can hit the maximum win of 2,500 NZD or AUD. While the Ghost Rider or 3 Clowns Scratch require that you match 3 symbols in diagonally, vertically or horizontally. The Blackjack Scratch and the Roulette Scratch are interesting examples too. Both are based on the much popular games with the same name. Blackjack Scratch is played on a green table where you are dealt three hands while the dealer only one. Your mission is to get a better hand up to 21 with any of your hands. In the Roulette Scratch you wait for the ball to fall in one of the pokies after which the cards are revealed to see if there is a match. So all the games have different themes and ways to play and it is better if you try free games and understand the game play before indulging in real money scratchies. Playtech has also innovated with the structures of the scratch cards. 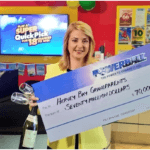 In one type of scratch card the prize symbol is revealed along with a payout value. The payout value is randomly selected from a given range that depends on the bet amount. The scratch card has six spaces each of which hides a symbol. If any of the symbols on the scratch card matches with the prize symbol then the online casino player wins. Kong Scratch and Spamalot Scratch have this structure. Another type of Playtech scratch card has nine spaces in a 3×3 matrix. Each symbol has a specified payout ratio. If the scratched card reveals three identical symbols then the player’s bet is multiplied by the payout ratio for that symbol. Iron Man 2 Scratch is a combination of the two structures. A random payout is initially indicated. In order to win, the reactor symbol has to appear in all spaces horizontally, vertically or diagonally. The other symbols do not pay out. Rocky Scratch reveals three opponents of Rocky from the movie series. You pick one of them. A bout between the opponent and Rocky is shown on the screen. If Rocky beats the opponent then you win the indicated payout. 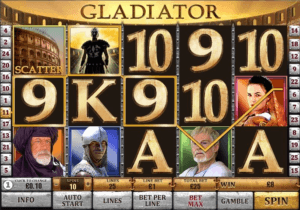 Besides scratch card games there are other various other games available at online casinos to play. You can enjoy pokies, table and card games, fixed odd games and more. You can play classic games like blackjack, baccarat and roulette, Unlimited Blackjack, Double Screen Roulette and the exclusive Casino Hold’em. Half of these games can be accessed instantly via their Flash casino platform and the others can be found within their download client. The downloadable software can be displayed in more than 20 different languages and this download client also comes with built in support. Even you will find one of the most popular Progressive Jackpot networks to play and win. 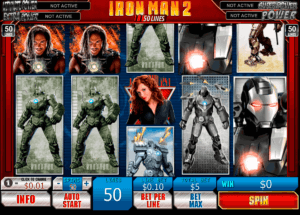 The most popular Marvel themed progressive jackpot games include Thor – The Mighty Avenger, Iron Man 2, The Incredible Hulk, Fantastic Four, Elektra, X-Men, Blade, Daredevil, Punisher and Ghost Rider. Now simply visit the Playtech powered online casino to buy online scratchies or to play pokies with your own currency instantly without any download.